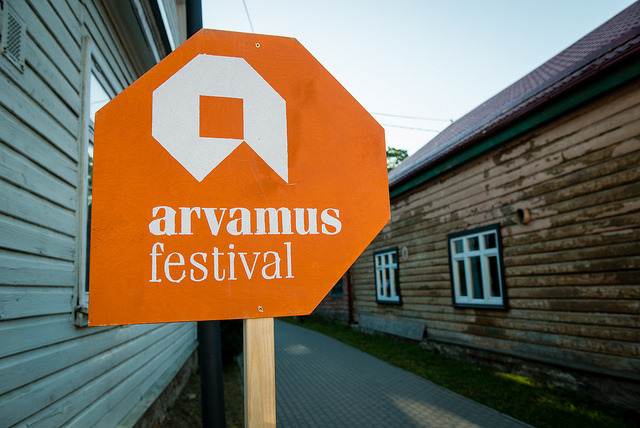 We listened and spoke up, we danced and laughed (to the beat of 90s music, no less), we connected… the Arvamusfestival may be over for this year, but it certainly will not rest and keep still, thanks to the sheer enthusiasm, ideas and collaborations it sparked. 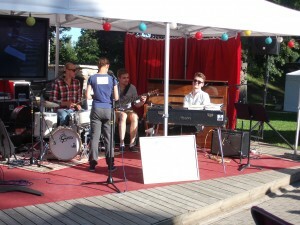 The third Arvamusfestival ended on a high note on Saturday evening. 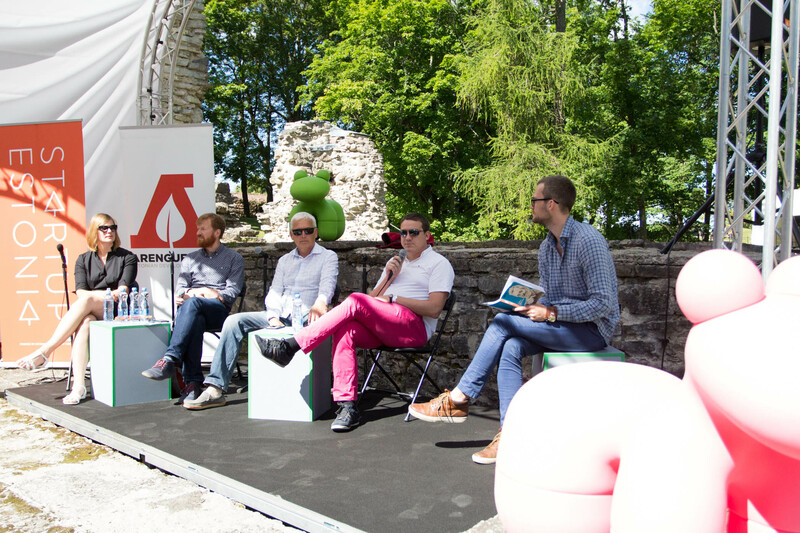 The final debate of the festival invited all six leaders of the Estonian parties currently in parliament (with Kadri Simson standing in for Edgar Savisaar, leader of the Centre Party) to share their vision and common goals beyond the nitty-gritty and quibbles of everyday politics. 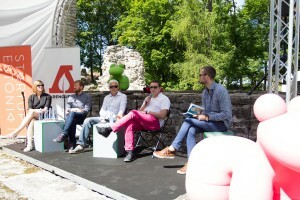 Fitting in with the several events at this year’s festival searching for a ‘story of the future’ for Estonia, the party leaders were asked to share their idea about what Estonia could and should stand for and look like by 2040. 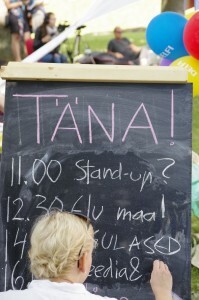 To add a light twist to the weightier questions at the debate and the festival at large, stand-up group Fopaa! completed the programme on Vallimägi with astute jokes about whales, the meaning of ‘normal’, and new loanwords for ending a phone conversation. 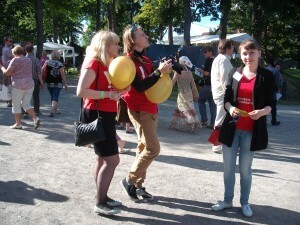 The night, and festival, drifted to a playful and sweaty end on Paide’s central square with the ever-popular Theatre NO99’s ‘Dance Camp’ where participants danced away to moves inspired by music videos from the lycra-loving 80s and 90s. 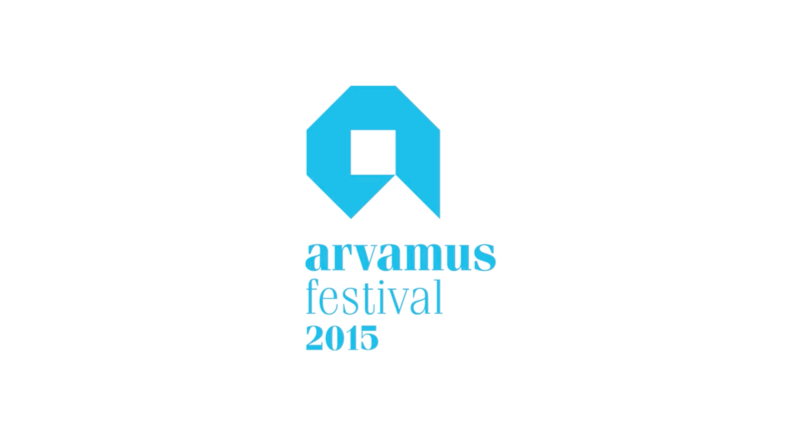 This year, the Arvamusfestival grew by leaps and bounds in every sense of the expression. It brought together an unprecedented 10,000 people and more over two days; by comparison, last year’s festival welcomed 4,200 people in total. Meanwhile, the programme, comprising an impressive 224 discussions on a vast range of socially relevant topics, was the result of a successful collaboration with various public institutions, NGOs and private enterprises. 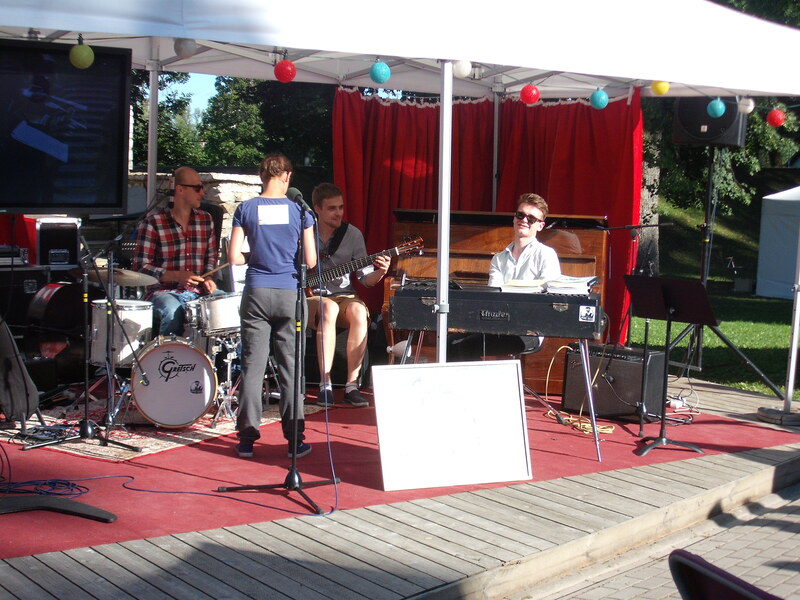 This was also the first year that Paide’s central square became a festival location, acting, among other things, as a hotspot for home cafés and a graffiti competition. 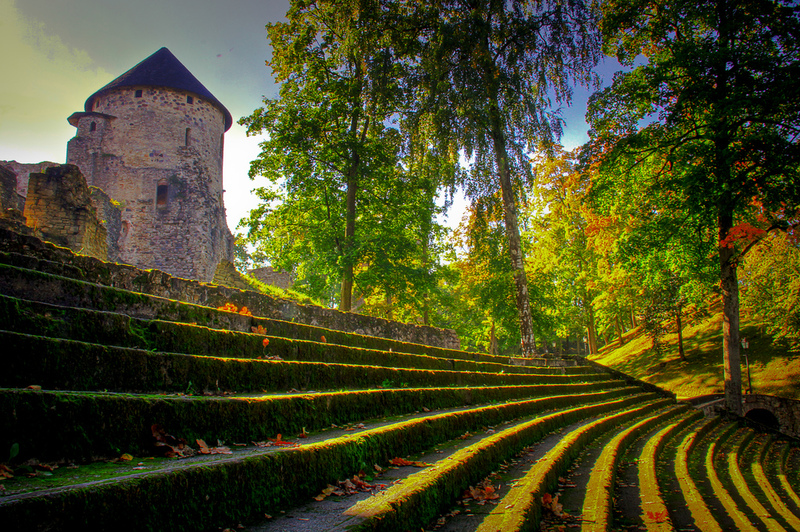 So, what made this weekend special, and why is the Arvamusfestival a very different and necessary kind of offering amongst the plethora of summer events taking place in Estonia? 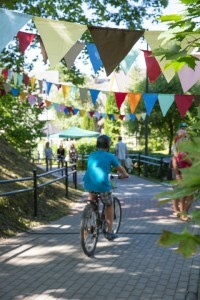 As a first-time participant of the festival myself, I felt at complete ease from the second I visited Paide Vallimägi and witnessed the festival area for the first time. While, truth be told, that was partly to do with my love for eco-centric design, hammocks and all things cosy, I was also struck by how the divers discussion areas, all shaped differently and hosting often very different discussions, all came together in the spirit of the festival’s belief in discussing and sharing opinions. To give you a sense of the mind-boggling number of topics just one participant can encounter in two days, here is a short list of the discussions I managed to attend, in no particular order: refugee policy in Estonia and Europe, the utility of start-ups for Estonia, urban space and new urban landmarks, ‘a year after Crimea’ and the state of European defense policy, the oft-mythical and harmful connection between alcohol and culture, apps and Estonian small businesses, animal rights in a human-centred society, the debate between party leaders. 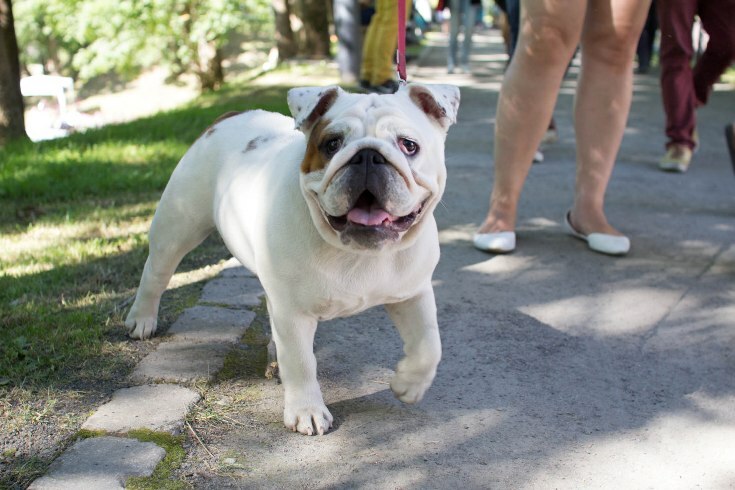 This did not even scratch the surface of the discussions taking place nor does it include the cafés visited, the people and dogs spoken to, the cultural events attended. With so much going on from Friday morning onwards, it felt like I had always been a part of the festival, and this feeling only grew as the Arvamusfestival went on. 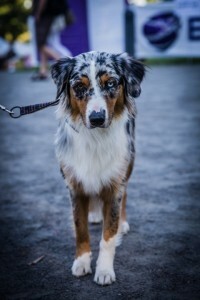 But mostly, I was inspired by the people at the Arvamusfestival. 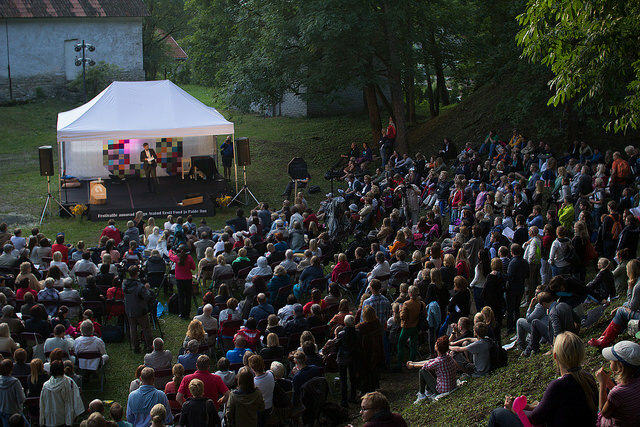 The seven hundred participants in the discussion panels, the thousands of participants in the audience, and the three hundred festival volunteers. 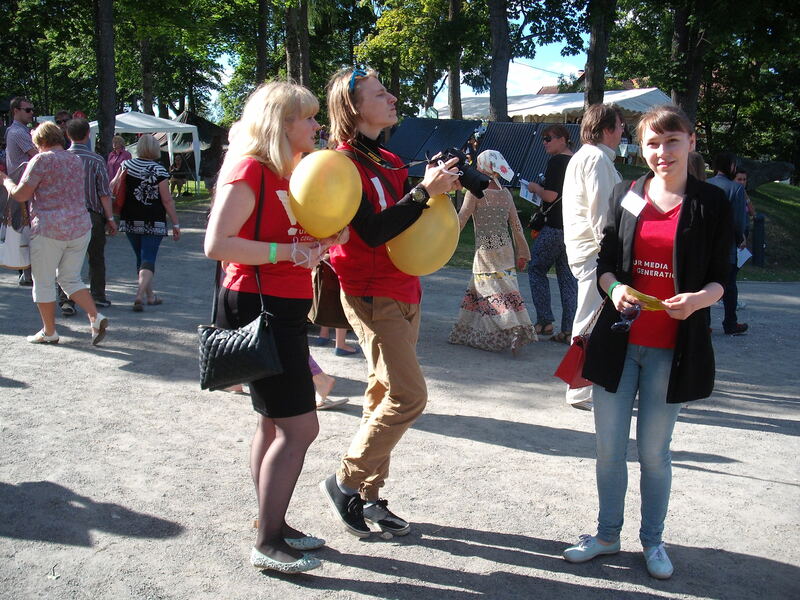 The Arvamusfestival involves everyone in discussing, questioning and acting on topics close to Estonia and Europe – and the thoughtful way the discussions were run, the abundance of constructive questions and the lack of any awkward silences (…and this in a country that often feels like the birthplace of the awkward silence) showed that a place for healthy discussion matters, and that active citizenship is no longer a thing of dreams, but alive and rather well in Estonia. Thank you, and see you again (or for the first time) next August! 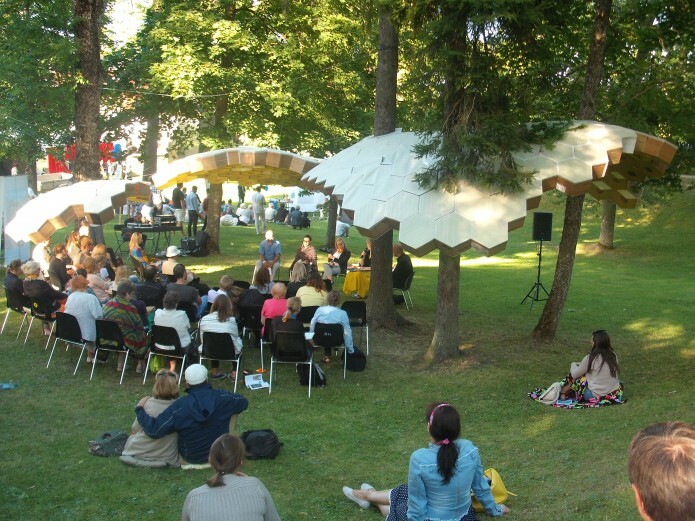 Some of the stands at the Arvamus festival weren’t just about the speakers taking part in the debate, but were also about great design creating a more effective space in which to have discussions. 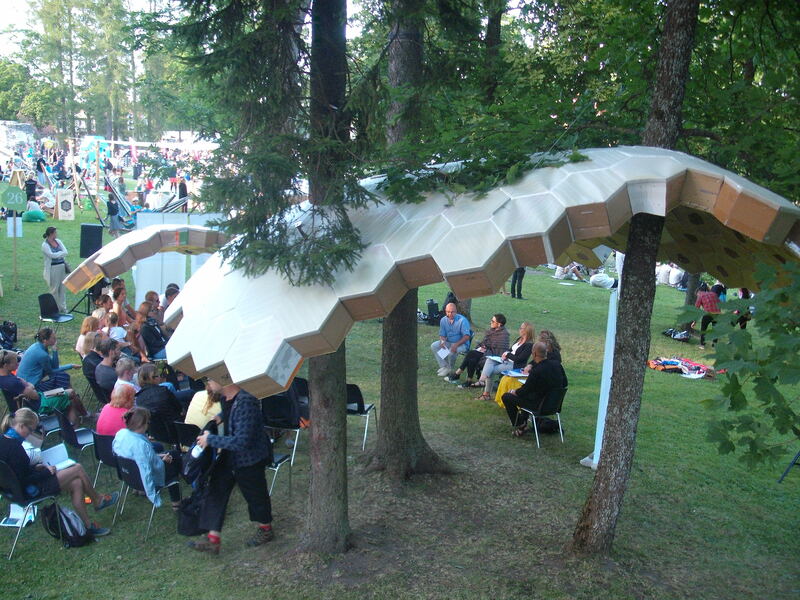 The best design of any stand at the festival, a space that treated acoustics and sight-lines as far more than afterthoughts, was created by Architecture and Urban Planning students of Eesti Kunstiakadeemia (the Estonian Academy of Arts). 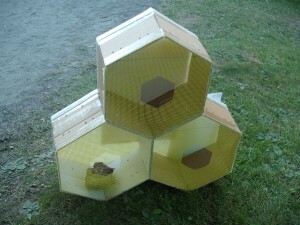 The honeycomb ceiling kept the audience warm and sheltered, and although each piece was made from cardboard boxes, they were reinforced with waterproof, insulating material which is often used for packing computers. The result was a spot that felt uniquely-attuned to great debate, and was a credit to the ingenious third-year EKA students, who have set down a marker for their successors who will design the stand for next year’s Arvamus Festival. The Arvamus Festival food options continue to excite and enthrall. 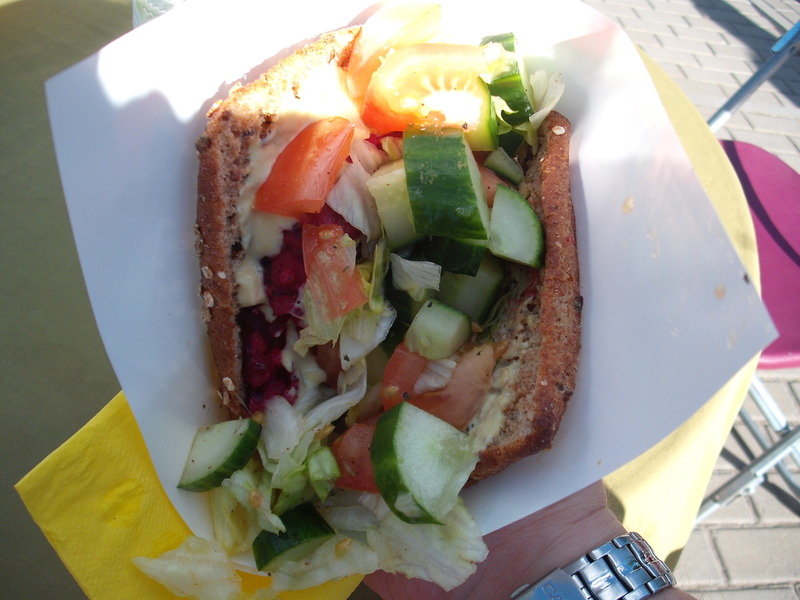 Having been pleasantly-surprised by the flavoursome beetroot-dominated veggie burger on Friday, I decided to go two metres to the right, and try the meat option, the hamburger, to see how it compared. For €8, it’s a premium price, but the burger, which came to me after only five minutes, was tender, broad and substantial. Served on a plate (rather than horizontally in paper as is usually favoured by Estonian convenience stalls), and with a wooden skewer through the middle in order to hold everything together, it feels like quality when you take it. 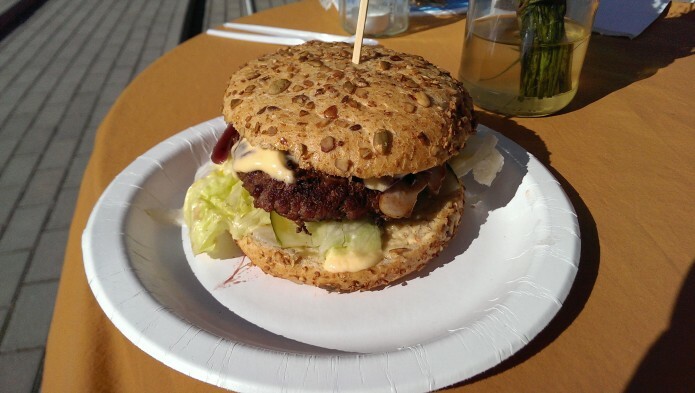 The mayonnaise and red onion chutney go well together, and the brown granary flat bun is a nice touch, though I always prefer it when burger places slightly toast them. However, the big X-factor of this burger was the makers’ use of smoked cheese in place of the usual processed strip – a variation on the theme that made the burger taste classy. Sticking with the upmarket theme, this is definitely a meal for picking apart, not picking up, hence why knives and forks are supplied. If, like me, you craved a meat fix after a long day on the Festival tracks, the hamburger is something you will not be disappointed with. Head down to the food court and see what we mean. 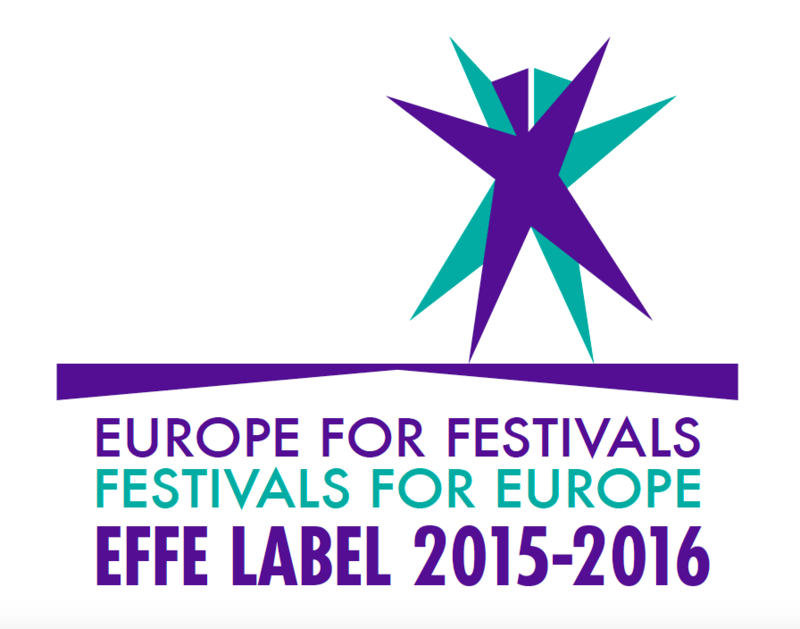 What’s this festival album business all about? 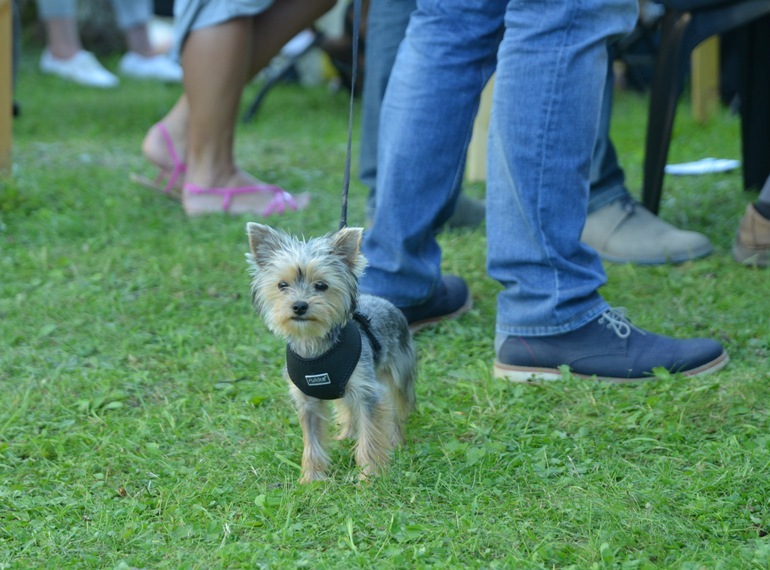 Those who attended last year’s festival can revisit those memories from velvety August nights by browsing through the festival’s photo album. 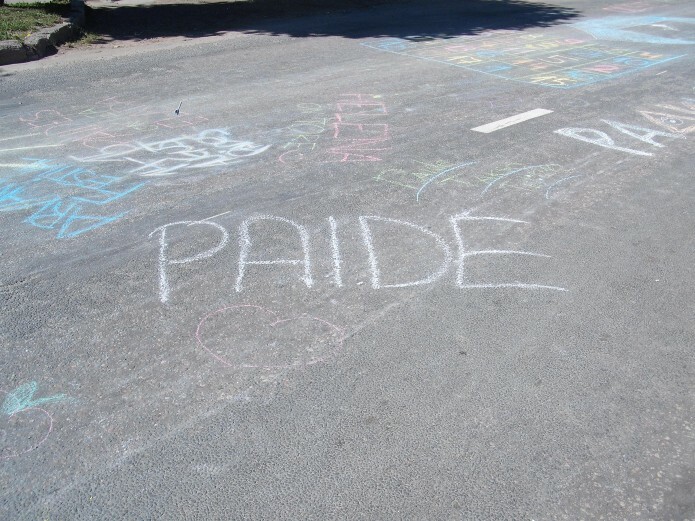 Those who weren’t in attendance last year can enjoy the photos to get an idea about what will happen in Paide on August 14th and 15th this year. “It’s a pretty nifty idea – to look back on how the festival was organised previously and to encapsulate some of the festival’s energy in an album. 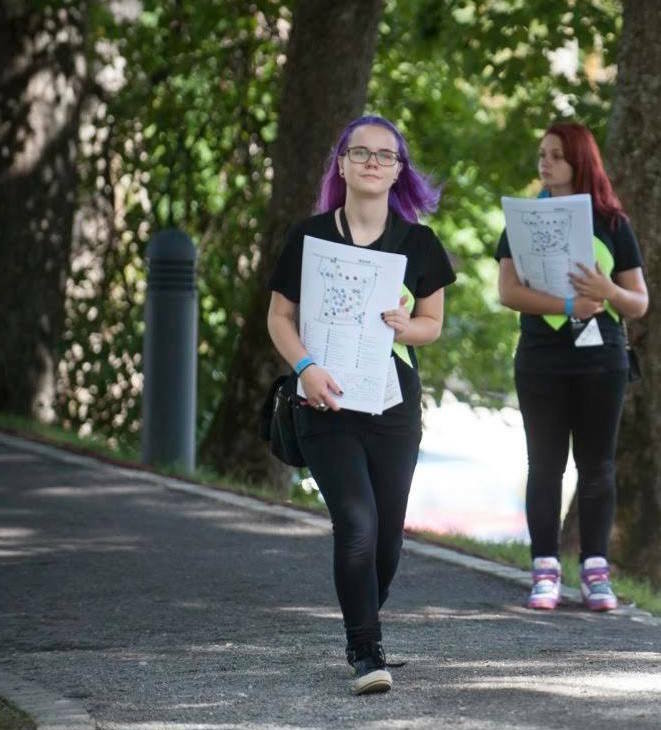 The final push for the album came from Tartu university’s comms students,” said the album’s editor-in-chief Andrus Raudsep. Besides linking the idea and action, the album serves as a trip down memory lane for those who have been to the festival in previous years. “You don’t always fully appreciate the outsider’s perspective on things when you’re smack in the middle of the action. The album gives the opportunity to glance at 2014’s festival at a standstill and from different perspectives. 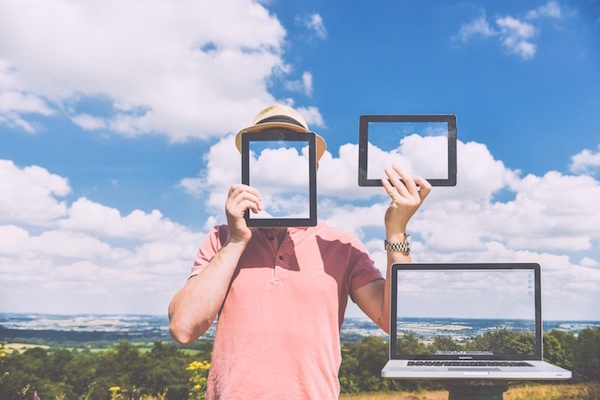 A static image gives a better understanding of what could be done differently and what may happen next,” explained Raudsep. These pictures may look like random snapshots of someone’s summer, but the objective was to get still photos of action. 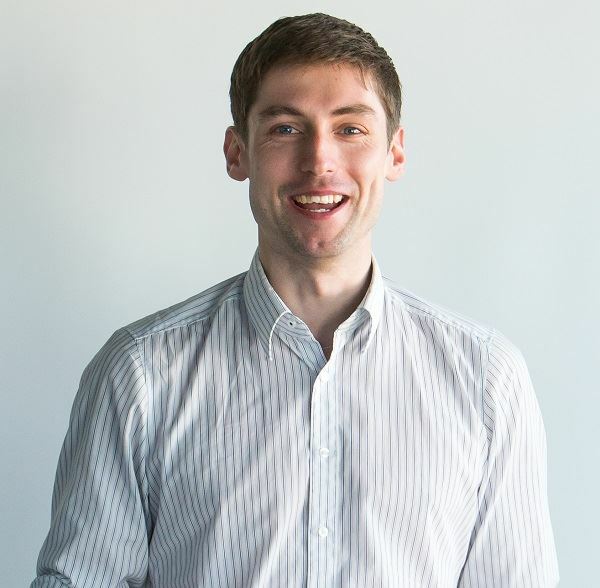 “We can see what is happening at the moment while also understanding what happened before and what will happen next.” There’s plenty for everyone to explore, as there are explanatory notes to the visual solutions. Looking back on last year’s festival, the album should inspire people to participate in differently structured discussions and engage in debates. “When all participants converse in the spirit of good discussion culture, then the discussions go deeper as well. 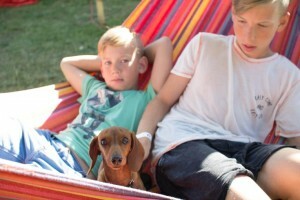 Hopefully the album as a new discussion format will support this as well,” said Raudsep. Opinion Culture Festival’s program is complete! 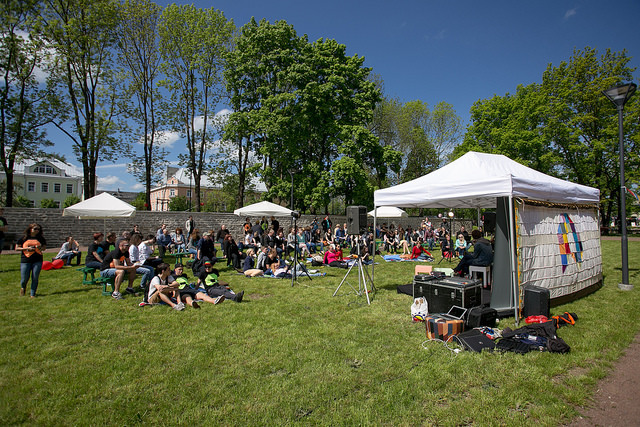 The Opinion Culture Festival’s website now features the full festival program – 36 discussion areas will host approximately 200 debates and the festival will also expand to Paide’s central square for a vivid entertainment program. 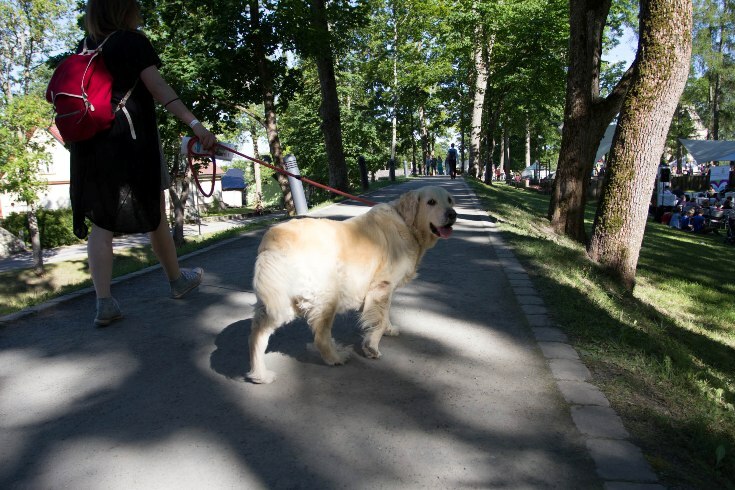 The festival will be held in Paide on August 14th and 15th to discuss topics ranging from self-driving technology to alcohol consumption culture. Issues as diverse as education, values, health, science, economy and refugees will be discussed among others. The program will mainly comprise of nearly 200 debates, relying on the input of 100 different organisations. 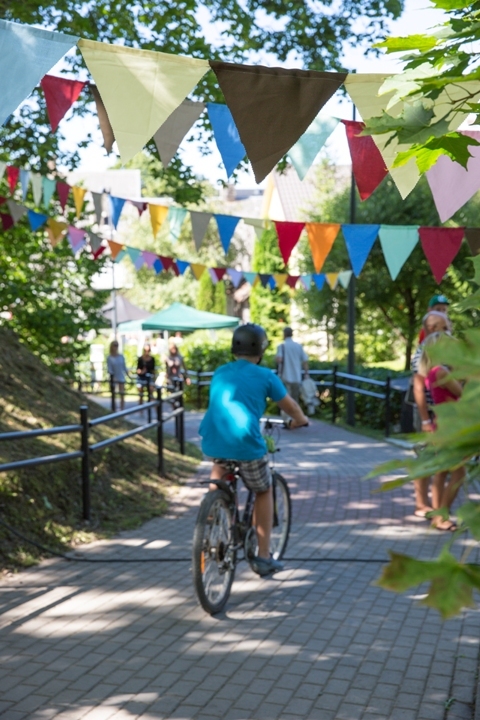 The festival area will expand from Paide’s Vallimägi Hill to the central square and Tallinn street, where an exciting entertainment program by the Estonian Academy of Arts and other organisations will be on offer. 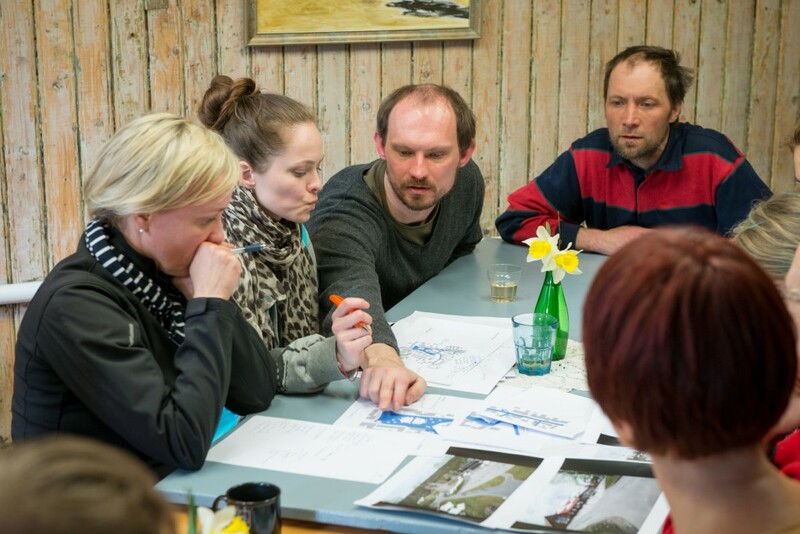 The Opinion Culture Festival in Paide is not the only one of its kind, similar meetings between people interested in the future of their respective countries are happening all across Scandinavia. 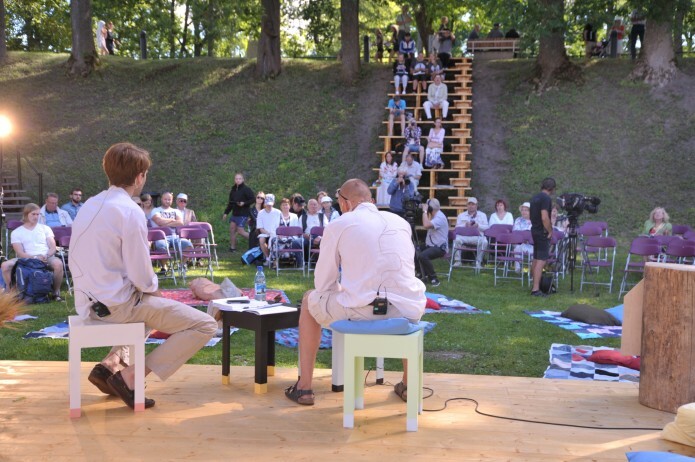 This year Latvia hosted its first opinion culture festival in Cesis, using best practices gained from the festival in Paide. 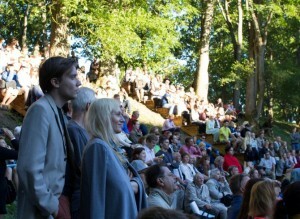 The Estonian opinion culture festival was inspired by the Almedalen week, which has been regularly happening in Sweden for over half a century. 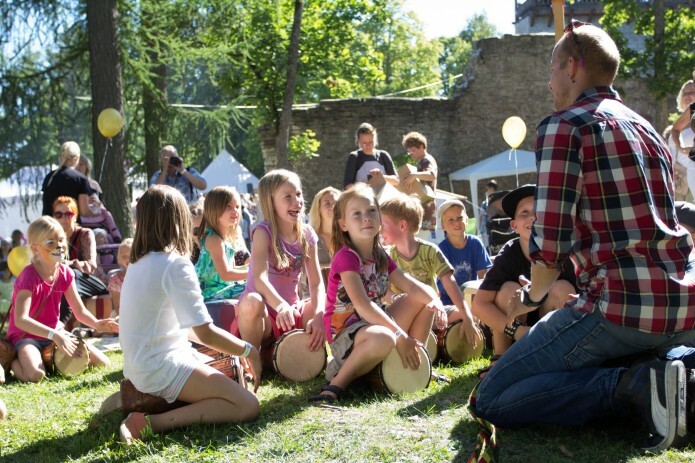 The hosts of festivals in different countries liaise with each other to exchange ideas, knowledge and experience to achieve the best possible result. 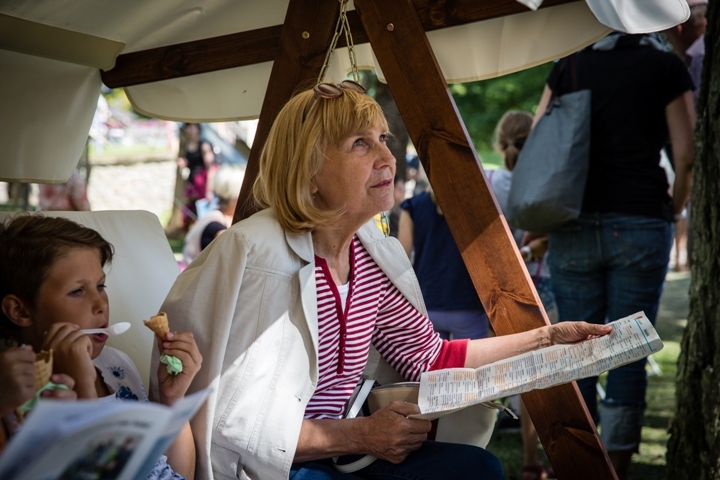 It is possible to support the festival through a kickstarter crowdfunding campaign until August 1st to ensure an even cosier event. 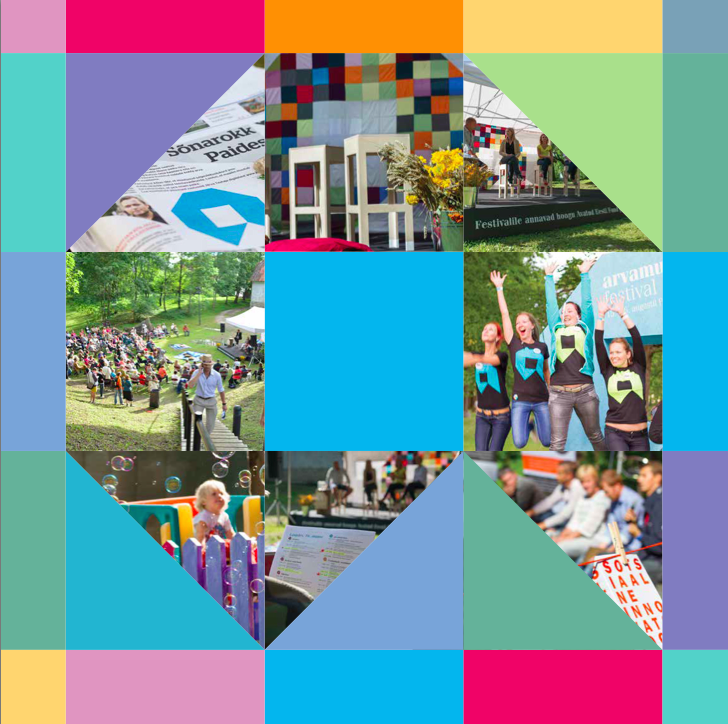 Every kickstarter donation shall contribute towards the construction of the festival area, the building of a reusable rain shelter or the well-being of the hundreds of volunteers during the festival. 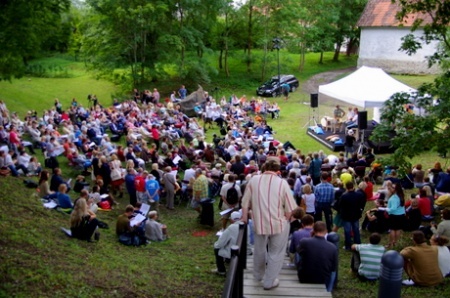 Just as in Scandinavia, the festival in Estonia is organised jointly with the local municipality and residents – the festival’s biggest supporters include the city of Paide, Järva county municipalities and local businesses alongside local residents, many of whom participate as volunteers. Another major supporter is the Open Estonia Foundation. 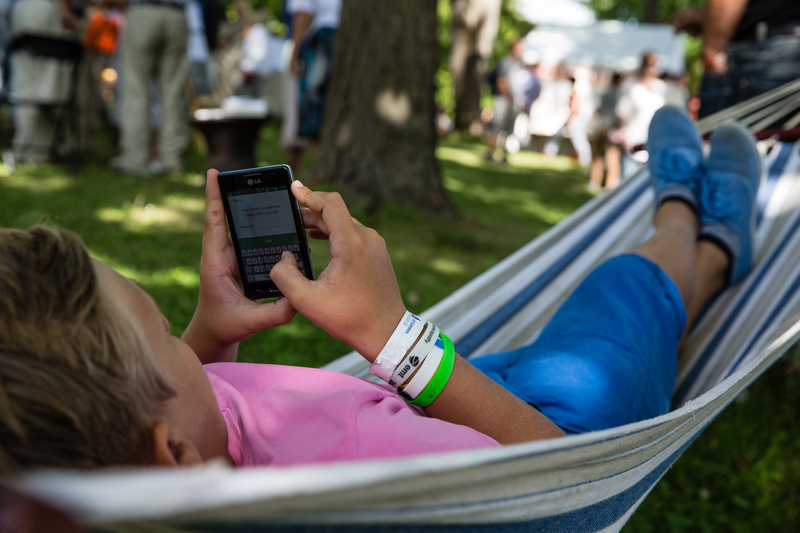 Other sponsors include the Civil Society Foundation, the European Commission’s Estonian representation, the European Parliament’s information bureau in Estonia and several corporations, including Eesti Energia, Eesti Telekom, Nortal, Swedbank and UP Invest. From civil society to gender roles, innovation to health and ethics to governance. These are just a few of the 25 themes to be discussed at this year’s Festival of Opinion Culture. 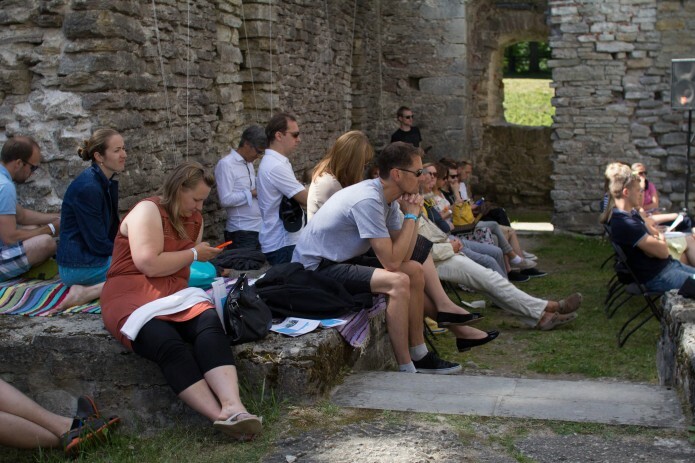 The festival’s team has put a lot of effort into selecting the final topics – 250 crowdsourced ideas have been divided into 25 groups and these groups shall form the basis for the program in the coming weeks. 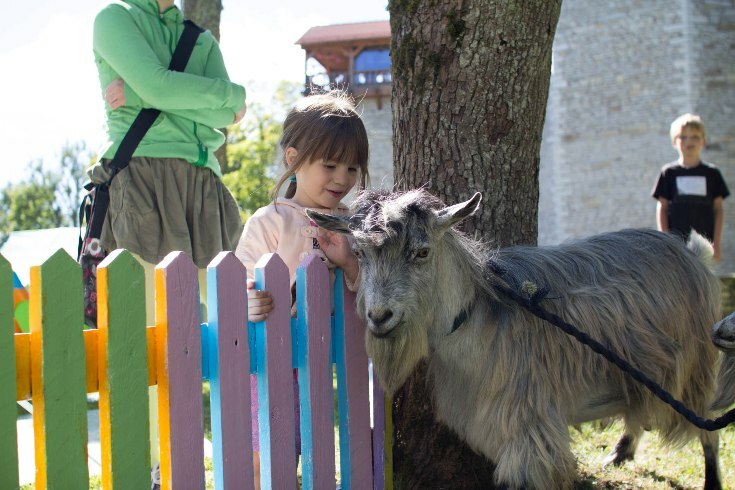 In addition to already traditional topics such as children and families, entrepreneurship and well-being; there will also be discussions on scientific issues, relations between men and women and gender roles in general, worklife, health, security etc.